Where are the doctors when you need them? The Australian medical fraternity spoke up about tobacco. So why the silence on another emerging killer? It’s hard to tell a smoker he has cancer. A lot is left unsaid. It’s not a time for blame but there is a subtext unspoken by both patient and doctor knowing this could have been avoided. Cancer truncates a life. Even if a patient survives, things are never the same. A line is crossed and it can’t be undone. For a smoker, each cigarette brings him closer to a threshold, to that line that mustn’t be crossed. As doctors we speak out alerting to the risks, even when the patient appears in good health. To remain silent would be to abdicate our responsibility as health advocates and make us complicit to an industry responsible for the death of millions worldwide. As health advocates we have historically spoken out and continue to speak out. But right now, there is a trade going on that also kills millions worldwide every year, an industry that is actively promoted by our government who continue to ignore its health consequences. But on this issue, major health organizations in Australia seem politically constrained despite having policy statements acknowledging the health impacts. Outdoor air pollution largely due to coal and other fossil fuel combustion now causes in excess of 3.7 million premature deaths worldwide. More importantly, ongoing combustion of fossil fuels takes us ever closer to a climate threshold. What is the exact threshold, is it 2 degrees or 1.5 degrees of warming? Perhaps the question is similar to a smoker asking how many cigarettes would be safe to smoke. In truth there is no safe limit if we want to minimize the risk of dangerous climate warming. But there is a threshold and the signs and symptoms suggest we are already crossing it. As Australian climate scientist Will Stefan has recently reiterated, the recent extreme weather events around the country are a direct consequence of greenhouse gas emissions. 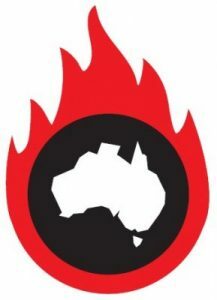 From bushfires that threaten communities, heatwaves causing dehydration and heat stroke, with children and elderly people being especially vulnerable, through to heart attacks and mental health related emergencies, climate change is already affecting the wellbeing of Australians. And if the current extreme weather events are not enough, the predictions based on current warming scenarios are that they are going to increase in intensity and frequency in the decades to come unless we take urgent action to reduce emissions. And yet the medical fraternity in Australia remains largely silent. Why? They spoke up against tobacco. Silence is not a neutrality, it condones the status quo and denies a frightening reality that we are not addressing. Our collective silence and inaction allows our politicians to trivialise the health issue and a fossil fuel lobby to exert its influence uncontested. It allows the topic to be politicised and highjacked solely as being an economic agenda if we don’t give voice to the health impacts. Last week’s parliamentary display featuring a lump of coal only demonstrates the farcical levels to which the debate has deteriorated. What is required amidst this failure of leadership is an urgent and strong response from the AMA and other medical organisations to lead the debate and insert health back into the equation. As a profession, every day we remain silent draws us closer to that threshold which when crossed will truncate a collective life-line; when will doctors take up their responsibility once again and be the advocates for their patients and speak up for the health of communities? The alternative is not an option that I can entertain. 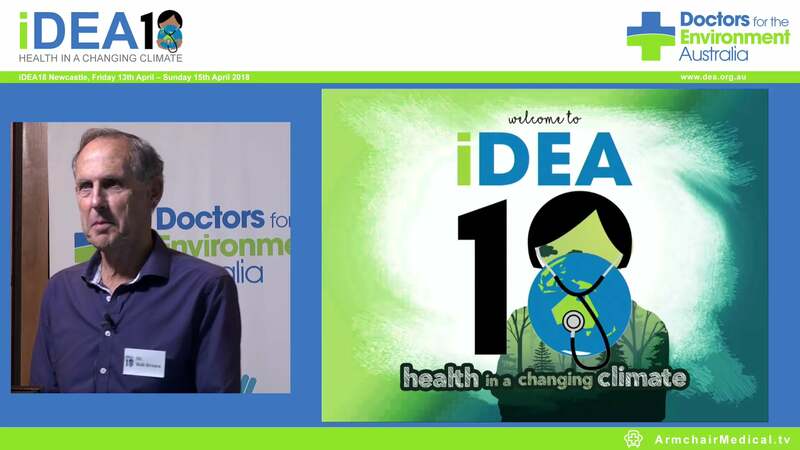 Dr Richard Yin is a Perth based GP and father, and a member of Doctors for the Environment Australia.